If you buy or gave you a ceramic knife, and it's time to try to return it to its original sharpness, and carry it in a specialized workshop is not possible, please be patient. Sharpening ceramic knives - the process is very long and laborious. Ceramic knife can be sharpened only on something more solid than himself, and common bars, on which sharpening steel knives, there is clearly not enough. Use for sharpening a ceramic knife a circle with a diamond coating. In a pinch, use corundum, ranging from 80 microns for roughing and up to 40 microns for finishing. Due to the special properties of the material, respectively, are special hardware requirements for its sharpening. Ceramic knives sharpen on malabarista round with minimal wobbling of the tool. 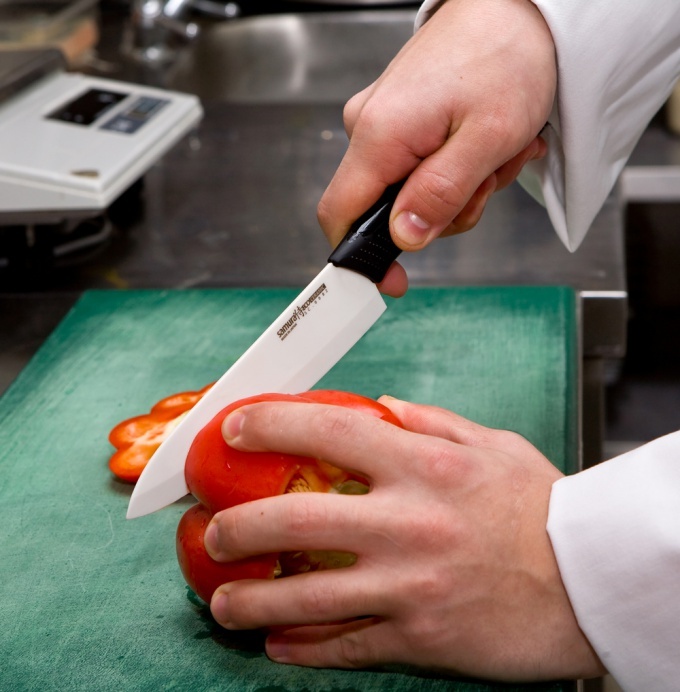 When sharpening a ceramic knife use minimal effort, holding the knife to the abrasive tool. That is why the process of sharpening a ceramic knife is extended in time. Ceramic knives, according to the testimony of practitioners, require and also exclusive form the cutting edge. If classic steel knife is sharpened to "three corners", the ceramic knife is better just to sharpen as it is not recommended to sharpen knives steel. Namely, in the context of cutting edge ceramic knife must be slightly convex. It is this form which usually takes on a knife edge when trying to sharpen in the wrong hands. This is dictated by the material properties, namely its fragility.